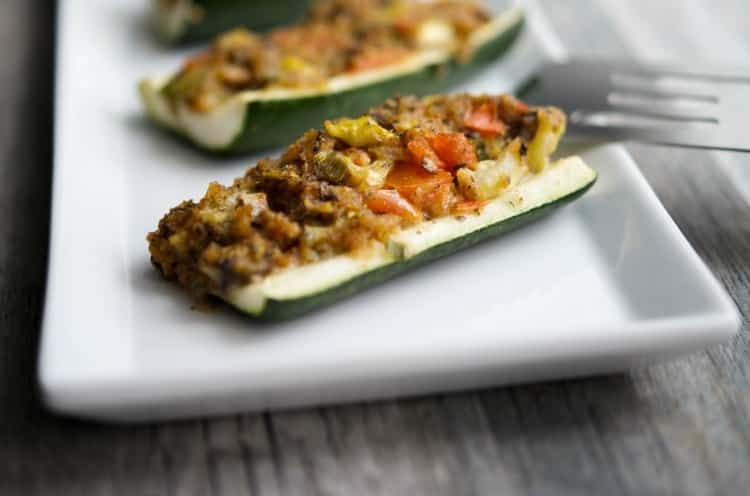 Stuffed Zucchini Boats filled with fresh, seasonal vegetables, Pecorino Romano cheese and Italian breadcrumbs are delicious and make the perfect side dish. You can also add some cooked ground beef, chicken or turkey for a complete meal! Soon zucchini will be in abundance and stuffing them with other fresh garden vegetables make for a tasty side dish. I originally shared this recipe back in 2011 and it was definitely high time I made and photographed them again. 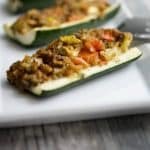 I do make these Stuffed Zucchini Boats quite often; especially during the summer months and my family just loves them. 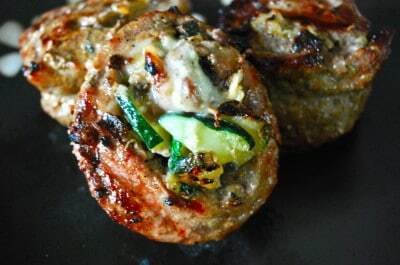 They contain simple, garden fresh ingredients including zucchini (of course! ), mushrooms, scallions, garlic, tomatoes, basil and Parmesan cheese. 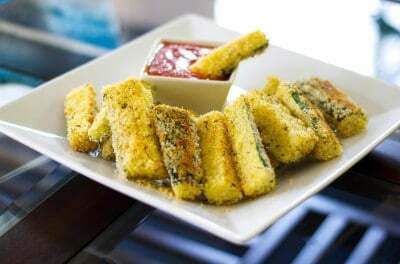 Start off by washing the skins well under cold water to remove any excess dirt; then trim the ends and cut your zucchini in half lengthwise. 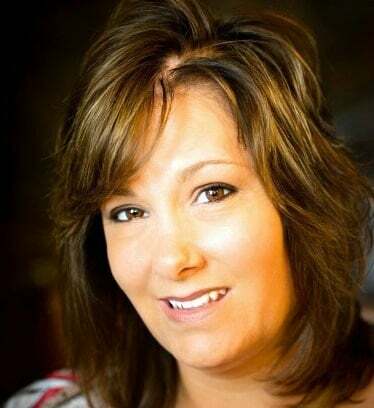 If they’re really large, go ahead and cut them again in half horizontally too. Next, scoop out the fleshy part of the zucchini, chop it into small pieces and add it to a mixing bowl. Add your chopped mushrooms, scallions, garlic, tomatoes, basil; then stir in some Parmesan cheese, chicken or vegetable broth and breadcrumbs to help bind it all together. Stuff each zucchini half with the stuffing; then bake for about 15-20 minutes. If you don’t want to turn the oven on, go ahead and wrap some in foil, seal shut; then heat on the grill. 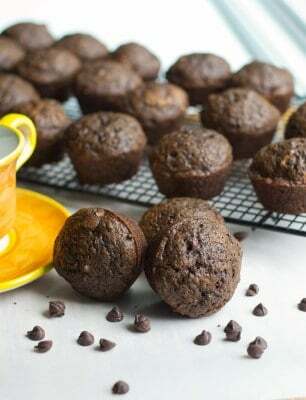 What I love about this recipe, besides the fact that it only takes about 10 minutes to prep and you won’t be able to stop your kids from devouring them (well at least in my house! ), is that you can mix and match whatever vegetables you want to add. If you don’t like mushrooms, add peppers or yellow squash instead. For a light dinner idea on those hot, steamy summer nights, add some browned ground beef, turkey or chicken for a complete meal idea. To make this recipe Vegetarian*, omit the cheese altogether or use a cheese that is made with animal free rennet (most imported Parmesan cheese contains animal rennet) and use vegetable broth. 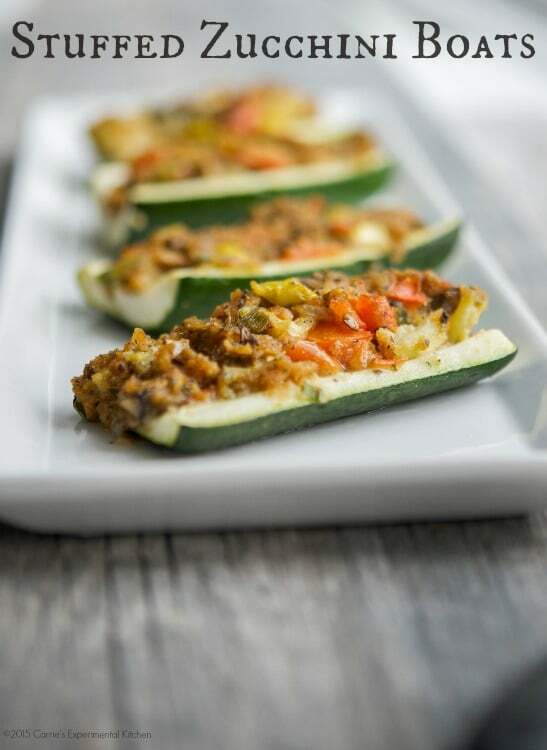 This recipe for Stuffed Zucchini Boats is truly versatile and I hope you like it as much as we do. ~Enjoy! Start off by washing the skins well under cold water to remove any excess dirt; then trim the ends and cut your zucchini in half lengthwise. If they're really large, go ahead and cut them again in half horizontally too. Add your chopped mushrooms, scallions, garlic, tomatoes, basil; then stir in the cheese, broth and breadcrumbs to help bind it all together. 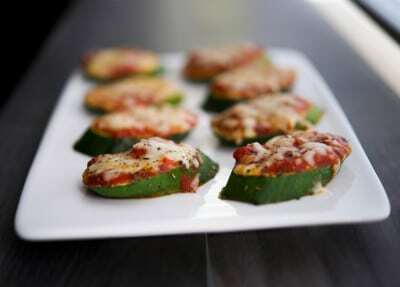 Stuff each zucchini half with the stuffing, place on a baking sheet; then bake for about 15-20 minutes. If you don't want to turn the oven on, go ahead and wrap them in foil, seal shut; then heat on the grill. *Information provided by Vegetarian Times. Thank you for stopping by Maureen and I love zucchini blossoms. I tried growing zucchini last year but the deer seemed to like them better and we didn’t get much. Thanks for reminding me how much I love stuffed zucchini. I’m going to make these this week! You’re welcome Liz, it’s one of my summer favorites too.Enjoy!